One hundred and twenty years ago, national icon Eugene Debs stepped out of the front door of the old McHenry County Jail on the Woodstock Square before a large and enthusiastic crowd – flanked by his attorney, Clarence Darrow. 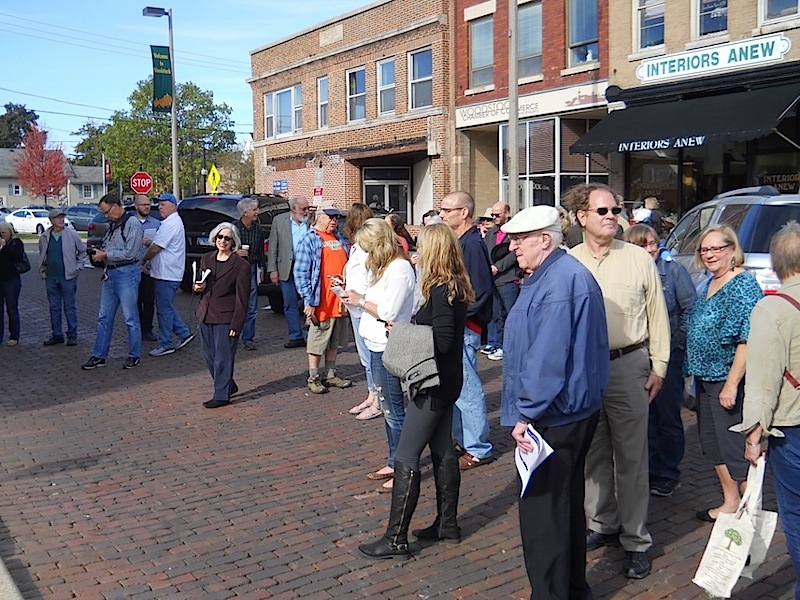 That snapshot in time was memorialized forever on Oct. 21 when the Illinois State Historical Society unveiled a state historic marker for Woodstock's Sheriff's House/Old McHenry County Jail at 101 N. Johnson St. Sponsors include Woodstock Celebrates, the Illinois Labor History Society, and the McHenry County Federation of Teachers. 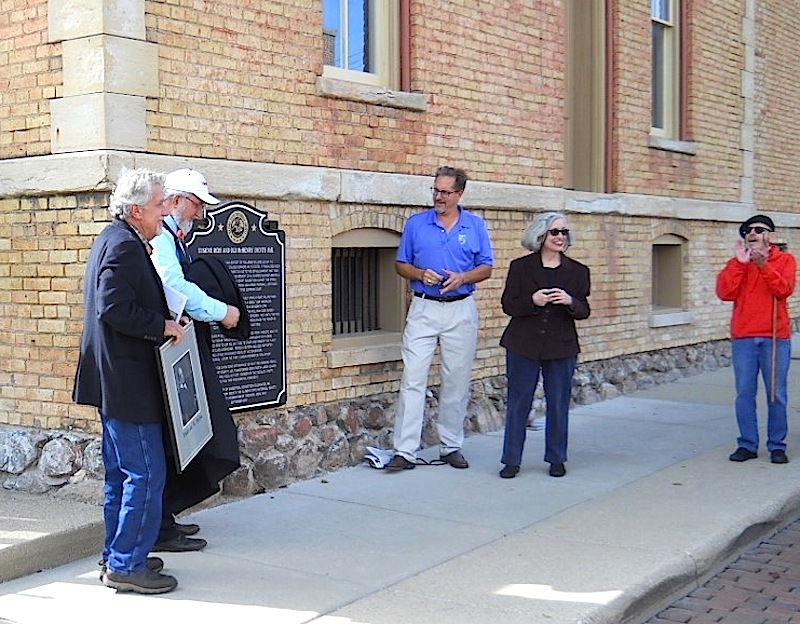 The Illinois State Historical Society has made a point of honoring our past, including the erection of more than 500 historical markers since 1934 – one of which commemorates McHenry County's first courthouse on the Woodstock Square. However, one could argue that none of the four current markers approaches the level of national impact contained in the plaque marking the imprisonment of Eugene V. Debs. Not only was he a renown labor leader and orator, this idealist initiated a national conversation not unlike that undertaken by Sen. Bernie Sanders today. Sentenced to a six-month jail sentence by a federal court because he refused to obey an injunction to stop leading workers in strike activities, Debs converted to socialism while in jail and five years later ran in the 1900 presidential election as a socialist. It was one of five failed attempts to win the White House. Debs and his running mate, Job Harriman, finished a distant fourth to William McKinley and eventual president Teddy Roosevelt.